Hey everyone, my name’s Karel Chladek, coming directly from Canadian grounds. 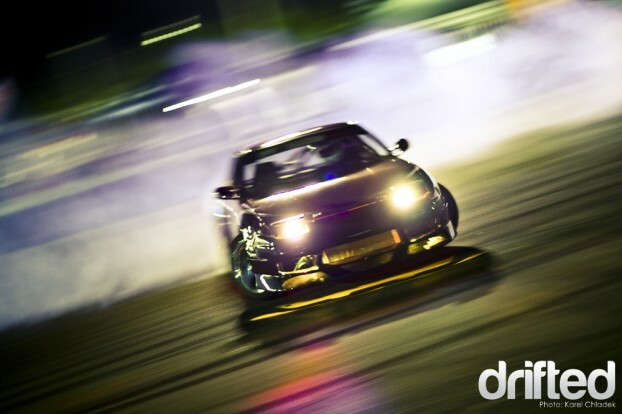 As a new Contributor to Drifted, I will dedicate myself to the Canadian drifting culture and supply coverage of wild drifting events and occasional photographic features with individuals. 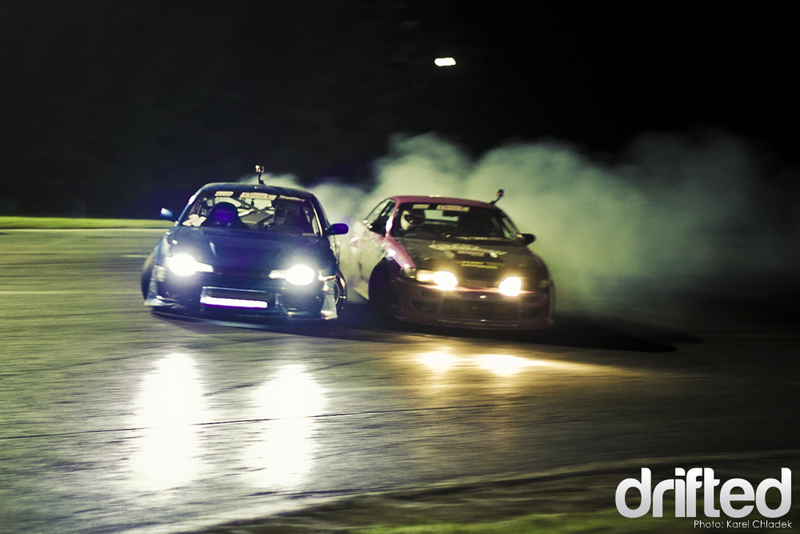 To start off my first post, I will feature the latest drifting event on the east side of Quebec, The Driftmania Canadian Championships Round 4. As a Day/Night event, this competition promised some incredible photographic sceneries and some amazing action. Quebec in itself has an amazing vibe when organizing motorsport related events, and this wasn’t one to be missed. After my 3 hour drive (well worth it), I arrived at the scene and awaited the action. Even though these guys are not stacked with sponsors, they aren’t in the professional series for nothing. They supply the hype, and they take the risks. Riding walls and ditches are simply chances to impress the audience and to bring the competition to the next level. 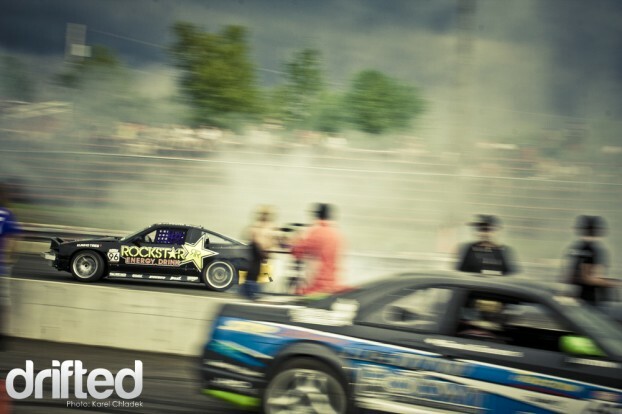 This very recently sponsored Rockstar 240SX, owned by #96 , Frederic Girard, impressed the crowd with his legendary comeback from his championship years. He successfully climbed the podium with a well earned 2nd place. As the sun started to disappear, we, the media, began to consider our options. Personally this was my first night motor sport event, so at the same time this was going to be a great learning experience. Here’s what happens when I let my creative side out. Evidently this is not what I could do all the time, but it works for a wallpaper no? Smoke, speed, style, angle, this guy’s got it all. A fearless drifter #76, in a custom roof-cut G35 with stylish bright colored wheels. Dave Briggs #24 unfortunately just scratched off the podium with a 4th place finish. 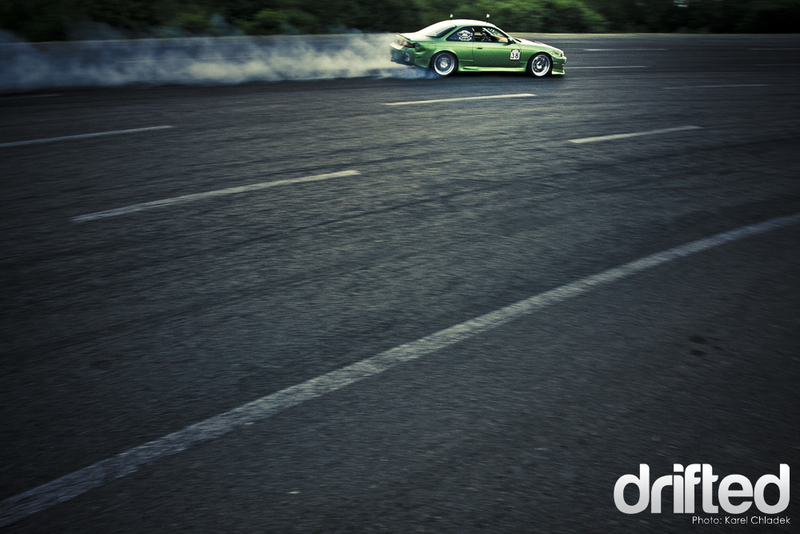 He and his car always provide such a solid performance, and it’s a pleasure for us photographers to shoot. A fierce and clean 240SX with an amazing driver. 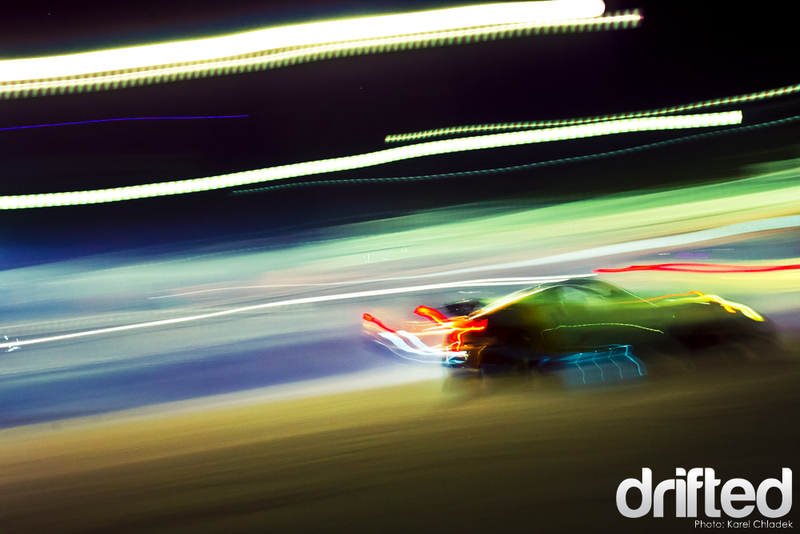 DMCC Round 4 simply delivered this time. With insane action, jaw-dropping scenes, and amazing perfomances from our resident drifters. Congratualtions to Matt Waldin and his Import Intelligence 350Z for 1st Place, Frederic Girard and his Rockstar 240SX for 2nd Place and Patrick Cyr and his Drift Posse AE86 for his 3rd. Round 5 is a few weeks away, stay tuned!